War is raging in southern Italy in the early nineties: anti-mafia judges are being killed in roadside explosions; dead criminals, the victims of internecine warfare, are littering the streets; and the police have no idea who is fighting whom. Maresciallo Pietro Fenoglio, an officer of the Carabinieri, must contend with the gang war while his marriage falls apart. When the young son of a mafia boss is found dead, and the suspected killer agrees to collaborate with the authorities to bring down the Apulian mafia, it seems like justice will prevail. But the mystery of the boy’s murder must still be solved, leading Fenoglio into a world of deep moral ambiguity, where the prosecutors are hard to distinguish from the prosecuted. 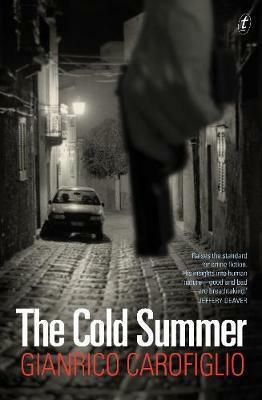 Inspired by a true story, The Cold Summer is Carofiglio’s most hard-hitting novel yet.